Playa Del Rey stands for “Beach of The King,” and that’s exactly how you’ll feel as you stroll along immaculate beaches with white sand, hike majestic hills and paths, and maybe even go parasailing! If you’re a beach bum (or king) there couldn’t be a better place for you. With year-round beautiful weather, Playa Del Rey is a true paradise. 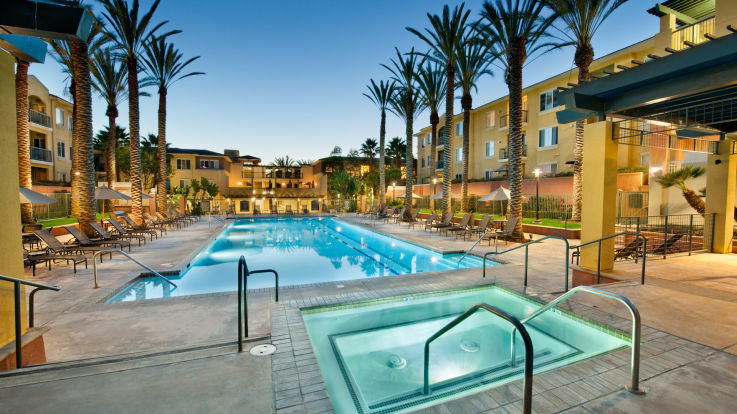 We offer some outstanding amenities at our Playa del Rey luxury apartments. Our enormous resort style pool and hot tub are head and shoulders above other area pools, with heating and an incredible design. Our sun deck offers great views of the surrounding area, and a great place to read a book while getting your tan on. Our apartments have wide open spaces, so don’t worry about struggling to fit everything in. We’re committed to helping you find the apartment of your dreams in any way that we can. Let’s get together and talk next steps to getting you into an incredible home.